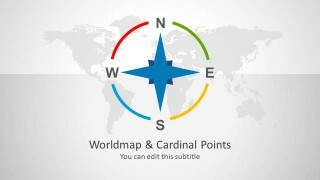 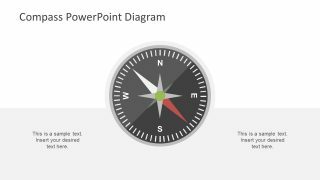 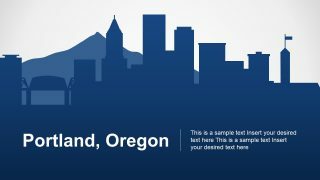 Worldmap & Cardinal Points Shape for PowerPoint is a World Map Template with professional slide designs. 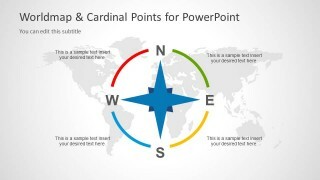 Using cardinal points with a world map background you can present your presentation slides with accurate geographical information and even elaborate a strategy related to different locations, e.g. 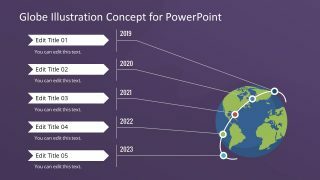 to highlight a marketing plan. 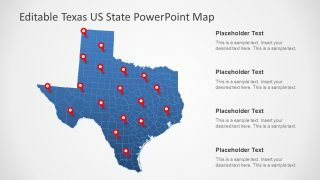 Furthermore, the template can even be used for academic presentations, as well as to create slides on topics like target market, geographical importance of a region and the like. 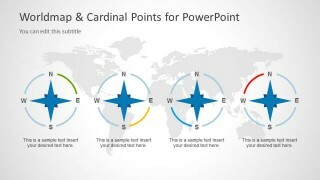 Also check out our complete catalogue of PowerPoint Maps, which has a variety of presentation templates with editable maps for different countries of the world.